Trade in red and pink corals prized as jewelry for 5,000 years will be restricted to try to help the species recover after drastic over-exploitation, a United Nations wildlife conference, the Convention on International Trade in Endangered Species (CITES), agreed on June 15, 2007. Countries at the Convention on International Trade in Endangered Species (CITES) voted 62 to 28 to start regulating export of corals, now harvested mainly in the Mediterranean and Western Pacific in a business worth millions of dollars. "Regulation of trade is necessary to ensure they do not become threatened with extinction," said Andrew Bruckner, a US official who authored the proposal at the June 3-15 talks. He said that current harvesting was depleting stocks. 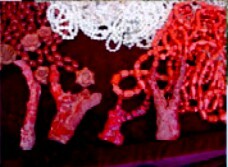 Necklaces made of the red and pink corals, collectively known as Corallium, can cost up to US$20,000. 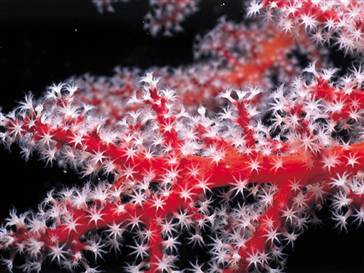 Many other species of coral are already protected by CITES. 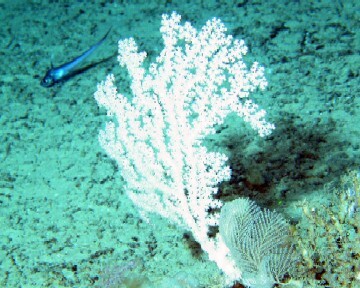 "Corallium, the most valuable of the precious corals, has been fished for over 5,000 years," the US proposal said, adding that millions of items and thousands of kilos (pounds) a year were traded internationally. The decision, imposing restrictions on international trade, will take effect in 18 months' time partly because of worries by southern European producers that they would need time to adapt to new trade rules. Over-harvesting and other threats including pollution, trawling of the seabed by fishing vessels and global warming are among threats to the corals, found from the tropics to temperate waters. Conservationists hailed the decision. "This is the best possible decision to start getting the trade in these corals under some form of international control," said Ernie Cooper, a coral trade expert from TRAFFIC, the wildlife trade monitoring network. Seaweb, a conservation group, also applauded the decision and said that raw red coral sold for US$100 to $900 per kg at auction. 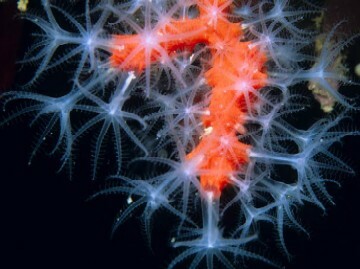 It said the Italian town of Torre del Greco, a centre of the trade, made coral profits of US$174 million in 1999 alone. CITES is one part of a global drive to help protect species, and is increasingly looking at commercial types such as corals, fish and timber alongside efforts to safeguard iconic animals such as tigers and elephants. Red and pink coral are the most valuable of all precious corals which are used to make jewelry such as necklaces and earrings as well as home decor items like objets d'art, and even lamp stands. Such demand is driving exploitation and threatening their survival and fishers are now targeting deeper waters using bottom trawls –one of the world’s most destructive fishing methods. 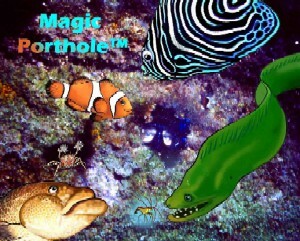 Magic Porthole™ Preview at www.magicporthole.org. Magic Porthole™ takes you into the fascinating world of coral reefs with videos, photographs, artistically rendered reef creatures who serve as “pals” and guides, sustainable environment contests, and games to enjoy while making discoveries about the lives of boxing crabs, moray eels, sharks, and many other creatures who are part of the fascinating and fragile life of coral reefs. Components existing and planned are designed to closely tie-in offline and online experiences. They include collectible card games, sustainable environment contests, books, toys, DVDs, and a TV series. Horizon has developed Magic Porthole™ with a Planning Grant from The National Science Foundation for Informal Science Education, and support from Peter Haje (former Executive Vice President and General Counsel, Time Warner), Helen Haje, other individuals, several supporters for Horizon’s filming in Bonaire (by Oscar-winning cinematographer Nick Caloyianis), and substantial contributions of talent and services. Museums, aquariums and other entities are collaborating with Horizon’s Magic Porthole™ project including the American Museum of Natural History, Museum of Science, the Smithsonian Institution Ocean Hall and Ocean Portal, NOAA/NOS, and many others. What is particularly exciting is that Magic Porthole’s approach provides the framework Horizon and others can apply to engage children in many subjects. Magic Porthole™ will build skills for questioning, analysis, understanding and addressing environmental issues, knowledge of environmental processes and systems, and the willingness and ability to act on their own conclusions to protect environmental quality. As children discover the intricate interconnected life in coral reefs, they will better appreciate symbiotic relationships and how all life is interconnected.